Unit 2, Viking Way, Winch Wen Industrial Estate, Swansea SA1 7DA. Swansea Bus Museum restores, operates and displays buses that were once in regular use by public transport companies across South and West Wales. 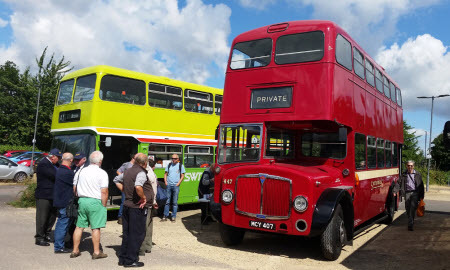 Our impressive collection mainly consists of vehicles operated by South Wales Transport (SWT) and First Cymru, together with two fine examples of London Transport Routemasters. The museum is also home to a selection of American cars, commercial vehicles and Land Rovers. 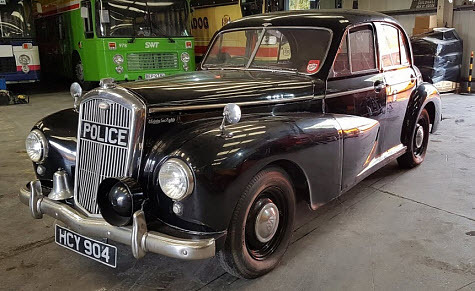 As of November 2018 we have on display several vehicles and artefacts belonging to the Swansea Museum Collections Centre of Landore which have been supplied on a long-term loan basis. We're open each Sunday between 11am and 4pm. Admission is £5 for adults and £1 for children over 5 yrs. We welcome organised groups and parties of visitors on any day of the week by prior appointment. Monthly meetings on second Thursday of each month - see events page for details. 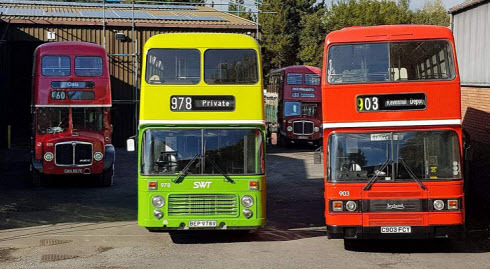 Swansea Bus Museum is operated by The South Wales Transport Preservation Group Ltd (SWTPG).